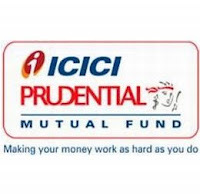 ICICI Prudential Mutual Fund has declared dividend under ICICI Prudential Fixed Maturity Plan - Series 55 - 6 Months Plan D-Dividend Option, a closed ended scheme. The recommended rate of dividend (Re per unit) on the face value of Rs 10 per unit under the schemes (is entire distributable surplus) as on record date. The record date for dividend is December 7, 2011. The scheme recorded NAV of Rs 10.4530 per unit as on November 30, 2011.